These Sterling Silver Earrings have been shaped in the form of the outline of a duck. The part that represents the beak comprises of rubies. The body outline is embedded with tiny blue sapphires, all of the same size. 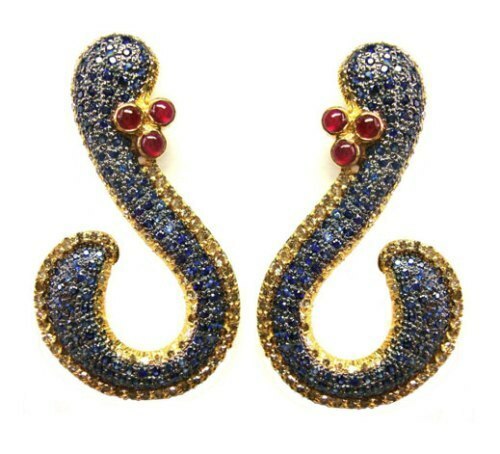 These are extremely elegant and can be teamed up with occasional wear outfits.